Centec Equipment Sales is a company that has used forestry bucket trucks for sale. This type of business typically appeals to landscaping, tree trimming, and electrical service companies throughout the nation. When you combine the experience of Centec Equipment Sales and their partners, together they have 40 years of experience in vehicle and equipment sales. This company has a wide variety of bucket and forestry trucks for sale, allowing you to find the right truck for your specific need. 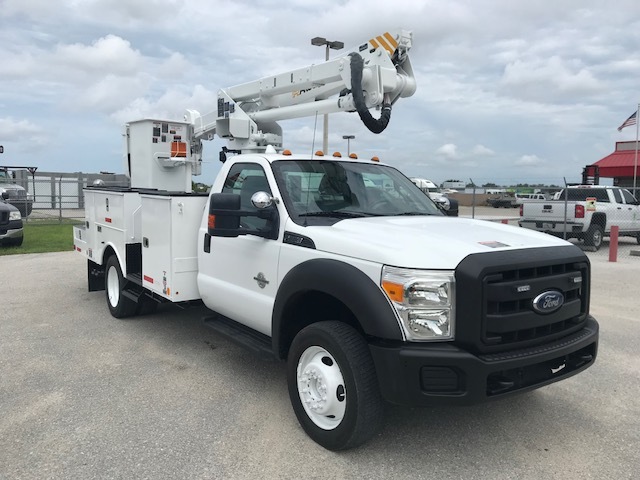 One truck that Centec Equipment Sales has in their inventory is the Ford F550 4×4 45ft bucket truck with material handler. This truck has 177,974 miles on it. It is the 2013 model of this vehicle. Some of the features it includes are automatic air conditioning, 8204 engine hours, Altec at 40MH 45ft bucket lift, and a material handler. Another truck listed in Centec Equipment’s inventory is the 2009 International 7300 4×4 60ft 2 man bucket truck with material handler. This truck has 108,105 miles on it. Some of the features it includes are automatic transmission, air conditioning, new tires in the front, and a headache rack. The 2008 Versalift Backyard Crawler Bucket Lift is a popular forestry bucket truck that is available at Centec Equipment. The mileage on this bucket lift is 117 hours. This bucket lift includes a wide variety of features including rubber tracks that expand side out, a wireless remote control, and an umounted back yard bucket crawler. Centec Equipment is an excellent place to consider if you are in the landscaping, tree trimming, or electrical service business and are in need of a reliable forestry bucket truck. Despite what your need is for this truck, Centec Equipment has you covered by offering a wide variety of trucks so that you can ultimately find the truck that best fits your specific need.